With attitudes and legislation towards diesel fuel changing, what does the future hold for diesel cars? The UK government has announced plans to ensure all new cars are "effectively zero emission" by 2040. This could include a more ambitious plan to ban the sale of new all petrol and diesel cars by as early as 2032. While the proposed changes are still some years away, the shorter-term future of diesel-fuelled cars seems uncertain. The government proposals are just the latest actions that demonstrate the changing attitudes to diesel engines. Registrations of diesel vehicles have dropped by almost a third (30.7%) so far in 2018 (SMMT, November 2018) amid controversy around the fuel and its effect on the environment. A new T-Charge came into force in London in October 2017 targeting diesel vehicles, which consists of an £11.50 daily charge for driving the most polluting vehicles in certain parts of the city (that’s on top of the £11.50 Congestion Charge). In addition to London’s T-Charge, the mayors of Paris, Madrid, Athens and Mexico City have pledged to ban diesel vehicles from their respective cities by 2025. And last year, tax changes to new cars were introduced to price zero-emissions vehicles more favourably than those that run on diesel, as well as older petrol models. The latest actions to discourage motorists from using diesel prove the tide has turned against the fuel in recent years. Between 2000 and 2017, the number of licensed cars in the UK increased from 24.4 million to 31.2 million. While this may be expected due to population growth and improved road infrastructure, the demand for diesel cars increased significantly, with the percentage of diesel engines increasing from 12.9% (3.2 million) to 39.7% (12.4 million) in this time. Much of the popularity of diesel cars can be attributed to road tax incentives introduced by the government from 2001. The environmental focus in the early 2000s was to reduce carbon emissions, which led to a push away from petrol and towards diesel. At the time, diesel cars were cheaper to run, cheaper to tax, and considered to be better for the environment than petrol cars. While CO2 emissions are indeed lower from diesel cars than from petrol cars, diesel engines produce four times as much nitrogen dioxide and 22 times more particulates. According to the European Environment Agency, nitrogen oxide emissions contribute to almost 12,000 deaths per year in the UK alone. More recently, Euro Standards were brought into place to limit the emissions from vehicles. But it emerged that the ‘real world’ emissions of diesel engines were higher than indicated in lab tests. The Volkswagen emissions scandal in 2015 marked a turning point in attitudes towards diesel fuel. It emerged that the manufacturer had intentionally programmed the engines of its diesel cars to pass emissions tests, despite the cars’ real-world emissions significantly exceeding set limits. Is it still worth buying a diesel car in 2018? 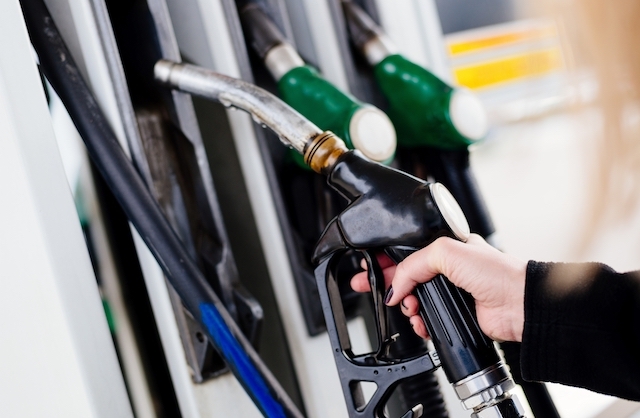 Diesel cars are still a mainstream option, but there’s no denying the new measures proposed by the government are aimed to steer drivers away from diesel fuel ahead of a potential ban on the sale of new diesel and petrol cars. Most manufacturers are still producing diesel models as a standard option, but car companies are taking note of the shifting attitude towards the fuel. Carmakers including Toyota, Volvo, Subaru, Suzuki, Bentley and Mitsubishi have already stopped the sale of new diesel cars or have announced plans to do so. Others have announced plans to phase out diesel options in new vehicles or have halted the development of new diesel engines. It’s also worth considering the resale value of a diesel vehicle. If legislation and attitudes continue to change, demand for used diesel cars could plummet in years to come. And of course, environmental factors and emissions figures will provide food for thought for many people when deciding between diesel and alternative fuels for their next car.